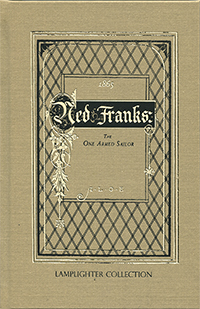 Ned Franks is a sailor, but he wears the armor of a soldier. Bound by truth and shielded by faith, Ned’s reputation among the people back home wins him the admiration of friends and the respect of rivals. He faces the storms of life with dignity, for disgrace to the seaman is worse than death. When accused of wrongdoing, he confronts his accuser with fiery eyes, “The God of Truth will make my truth clear one day!” Be challenged to wear the breastplate of righteousness and carry the sword of the Spirit as you engage in the adventures of Ned Franks: The One-Armed Sailor! From Brooke Kaczor of Oneill, Nebraska on 1/26/2016 . I bought the book because I thought it might be an interesting read. The main character, a young one armed sailor, whose truthfulness and faith affect those who interact with him. There is some great Biblical wisdom for kids in this book.